To leave feedback from a trip or a rental you have taken with us, please go to our listing on TripAdvisor here. We've extracted comments and remarks from feedback left from some of our guests in the past. Comments we believe will reflect an accurate review of our services provided. We have even included some of our guest's least favorite experiences and critical comments to show you things that are sometimes an issue, or problems we have worked toward solving. We hope these prove useful and enlightening. "The experience for me was fantastic. It was a great challenge (in a positive way). I learned a lot and enjoyed seeing the non-touristy parts of Bahamas and its natural landscapes. The camping on the empty beaches was awesome-we got spoiled! Every night a beach to ourselves. 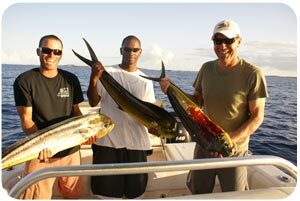 The food was good, the fresh fish which Dallas caught that day and served that eve for dinner was fantastic." "You guys did a great job answering questions and providing information, which is so important when doing a trip like this." "This was by far one of the best adventures I've had in my life hands down. Tamara and Dallas were exceptional people to work with and really made the planning and coordination of our trip a breeze." 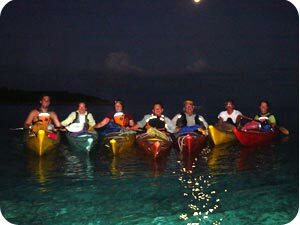 "Least favorite thing about the trip-long paddle distances. Distances were a bit longer than I expected, however my level of experience was low." "Some of my favorite things were snorkeling, white sand beaches all to ourselves, clear water, Thunderball, Farmer's Cay, swimming pigs, Guana Cay, shark sightings, Compass Cay...pretty much everything." "Dallas is a remarkable guide and he absolutely added to the adventure-his knowledge of the area enhanced our overall experience." "Least favorite: We hit some nasty weather (we were there in February) and headed in a day early before the winds and waves got too big. We made a wise choice but it was still a bummer." "Improvements: I would have liked to paddle more miles per day, but when one goes with a group one has to adjust." "Favorite things: Star gazing at night. Tamara's cookies and chicken bread. More food like this would be awesome." "Comment: : I would have liked more Coconut French Toast.:)! YUMMMMM." "I really liked how the Out-Island Explorers staff went above and beyond to make sure everyone on the trip was having a good time." 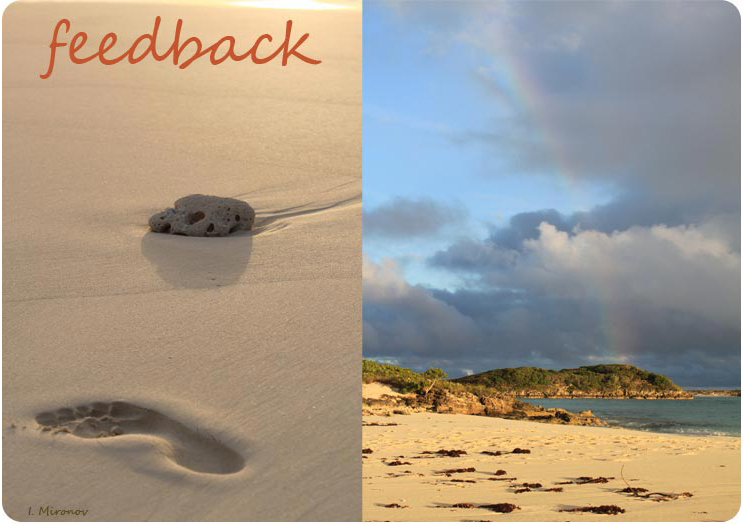 "There was a wonderful balance of activities and 'beach time' and the food was above and beyond typical camping food. 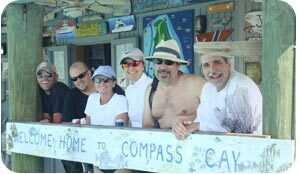 I would recommend Out-Island Explorers Sailing Expedition to anyone looking for a fun, active vacation outside the norm. "The least favorite part of my rental was how I underestimated how hot the afternoon sun would be. I found my day were planned around finding shade, if possible for mid day. My tarp was not as effective as I had anticipated." "You enabled me to do a solo trip in new waters with very little trouble and helped with the planning via email. Your service was just what I needed." "Some of my favorites were the sailing - the sea pearls are lovely boats to sail. The good food was REALLY good (like the sauce for the fresh fish, the sugar cookies, the chicken and veggie loaf), lots of drinks available! Dallas and Ryan were super flexible and accommodating and were lovely hosts. I couldn't have asked for better guides. The weather (which I know you can't control) was amazing. The sailing lengths were good and the other activities we did (fishing, snorkeling, swimming with the sharks) were great as a mix-up. I thought the hotel was great and the house at Staniel Cay was nice too. The restaurant dinners bought by Out island were good and it was fun to have dinner together at the beginning and end. Tamara is a pleasure to work with as an administration - conscientious and detail oriented. Nothing was missed even though we had several special requests." We will add or change comments over time!